Mohan V. Tatikonda is professor of operations management at the Indiana University Kelley School of Business. Mohan's research focuses on how firms can most effectively design, develop, introduce and improve products, services and organizational processes. 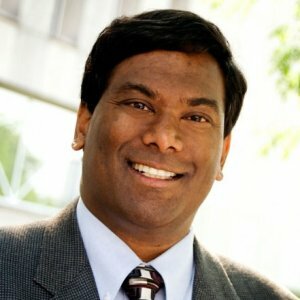 His research addresses managing development projects in global environments, fostering technology transfer in the supply chain, behavioral decision-making by supply chain managers, six-sigma program and project effectiveness, and the consumer privacy implications of RFID technology and other advanced technologies. Other research has involved intensive collaboration with leading companies (including GE, IBM, Motorola, RCA and Agfa). He has been published in scholarly journals including Management Science, Journal of Operations Management, Journal of Product Innovation Management and the IEEE Transactions on Engineering Management. Professor Tatikonda's research awards include: Best Paper of the Year in the Journal of Operations Management; Chan K. Hahn Prize for Best Operations Management Paper at Academy of Management; and the award for Best Dissertation from the Production and Operations Management Society. He has received research awards and grants from organizations including CIBER, Marketing Science Institute and the Center for Enterprise Leadership. Mohan serves as an Associate Editor of the Journal of Operations Management and the Decision Sciences Journal. He is a Senior Editor of the Production and Operations Management Journal and serves on the editorial board of the IEEE Transactions on Engineering Management. Mohan has consulted for The World Bank, SAP and other organizations. Professor Tatikonda is an award winning teacher. At the Kelley School he has received the Eli Lilly Award for MBA Teaching Excellence (awarded by the students to the top MBA faculty member) and the Schuyler F. Otteson Award for Undergraduate Teaching Excellence. He teaches the core operations management course in the MBA program and MBA courses on supply chain management. He has taught elective courses on product innovation to MBA and Executive MBA students, and has taught PhD seminars on Operations Strategy and Innovation at universities in the United States and abroad. “The payback on these incentives is frequently not quick. It can take 10 years, 20 years. The biggest benefits are obtained downstream, not in the short term,” says Mohan Tatikonda, professor of operations management at the Indiana University Kelley School of Business. Good management of a hospital or GPO supply chain relies on pretty much the same tools, techniques and strategies used in other industries to negotiate, procure and move products, said supply chain expert Mohan Tatikonda, a professor of operations management at Indiana University's Kelley School of Business. Ophthalmologists serve an increasing volume of a growing elderly population undergoing increasingly complex outpatient medical care, including extensive diagnostic testing and treatment. The resulting prolonged patient visit times ("patient flow times") limit quality, patient and employee satisfaction, and represent waste. Lean Six Sigma process improvement was used in a vitreoretinal practice to decrease patient flow time, demonstrating that this approach can yield significant improvement in health care. In recent years, many urban areas have established healthcare coalitions composed of autonomous (and often competing) hospitals, with the goal of improving emergency preparedness and response. We study the role of such coalitions in the specific context of response to multiple-casualty incidents in an urban setting, where on-scene responders must determine how to send casualties to medical facilities. A key function in incident response is multi-agency coordination. When this coordination is provided by a healthcare coalition, responders can use richer information about hospital capacities to decide where to send casualties. Using bed availability data from an urban area and a suburban area in the United States, we analyze the response capability of healthcare infrastructures under different levels of coordination, and we develop a stress test to identify areas of weakness. We find that improved coordination efforts should focus on decision support using information about inpatient resources, especially in urban areas with high inter-hospital variability in resource availability. We also find that coordination has the largest benefit in small incidents.This benefit is a new value proposition for healthcare coalitions, which were originally formed to improve preparedness for large disasters. Successful collaboration between new product development (NPD) teams maintained by competitors (so-called horizontal NPD collaboration) requires the use of formal modes of management control that simultaneously coordinate the teams' interdependent development activities and encourage their cooperative behavior. Nevertheless, prior theoretical and empirical research suggests that formal control modes required to improve coordination may also drive uncooperative, opportunistic behavior. To help managers in horizontal NPD collaborations select appropriate control modes, this study draws on organizational theory of management control and develops a conceptual framework that specifies the impact of one partner's use of input, process, and output controls on the other partner's perception of coordination effectiveness and cooperative behavior. The results of a scenario-based experiment with 110 expert practitioners show that managers perceive the competitor's use of input control as harmful and process control as helpful for achieving coordination effectiveness. Moreover, managers respond positively to the competitor's use of input control and negatively to the competitor's use of output control when it comes to cooperative behavior. Together, the results indicate that no single mode of formal management control simultaneously enhances both coordination and cooperative behavior in horizontal NPD collaborations. This paper investigates a new type of humanitarian organization designed to coordinate government, non-profit, and private response organizations in the event of an urban multiple casualty incident (UMCI). These coordinating agents improve system response by providing on-scene responders with capacity information about the healthcare organizations serving UMCI casualties. The overall research objective of this paper is to better understand what types of urban multi-casualty incidents pose the greatest challenges to urban healthcare service infrastructure response and also how different UMCI challenges can be best met using different healthcare infrastructure coordination strategies and capacity levels. Field case research techniques are employed to detail the response process and roles of different players. This detailed contextual grounding is combined with proprietary archival data from the U.S. National Trauma Databank and two hospitals to develop a conceptual framework and model to assess emergency response effectiveness. This model allows evaluation of information that coordinating agents could obtain and provide to other autonomous entities in the health care response under different UMCI types and different healthcare infrastructure coordination approaches and capacity levels in a major urban area. Key findings show that providing information on entry level hospital care unit capacity provides less effect on disaster response than providing information on second-level patient care unit capacity. The study also finds that under high levels of information sharing that patients served varies considerably relative to when no information is shared, suggesting an unearthing of more fundamental hospital operations process challenges. In addition this study develops an empirically-grounded “stress test” to support public policy decision-making by identifying vulnerabilities in urban area UMCI response. We investigate relationships between operational capabilities and new venture survival. On the basis of operations management and entrepreneurship literature, we develop a contingency framework of operational capabilities especially appropriate at different life phases of a new venture's evolution. We expect that in the first years of a new venture's life, entrepreneurs should emphasize high inventory turnover to preserve working capital, support customer responsiveness, and aid firm adaptability. As new ventures grow, entrepreneurs should emphasize internal working capital generation via larger gross margins to support production ramp-up. Later, new venture entrepreneurs should emphasize employee productivity to buttress sustainable volume production. We analyze a 6-year longitudinal sample of 812 Swedish manufacturing new ventures using a gamma frailty-based Cox regression. The findings show that specific operational capabilities, while always supporting new venture survival, have exceptional influence in specific new venture life phases. The three hypotheses are confirmed, suggesting that higher inventory turnover, gross margin, and employee productivity further increase new venture survival likelihoods, respectively, in the venture's start-up, growth, and stability phases. This suggests a phased-capabilities approach to new venture survival. This study contributes to operations management and entrepreneurship theory and practice, and sets a foundation for future research on operations strategy for new ventures.